Parishes across the Church of England receive over £55 million a year from legacy gifts; and raise £90 million through Grant Funding, and a further £61 million through other fundraising. Parishes need support for both areas – legacy fundraising is a sensitive area, and funding is required periodically when parishes run capital campaigns. To enable the effective development and delivery of legacy campaigns across the church by delivering the 2019 – 2020 strategic activity plan, and to enable parishes and dioceses to access grant funding through the provision of guidance on funders. Also to carry out project work on other income generation initiatives across the Church, and to support the National Advisor for Giving and Income Generation in other areas of work as required. Developing and implementing appropriate strategies for dioceses and parishes to deliver effective legacy campaigns. Delivering the Activity Plan for the National Legacy Strategic Plan 2019 – 2020. Briefing appropriate Committees on progress with legacy work, whether by writing papers or orally. Researching practical ways to build capacity, improve practices and increase the success of parish fundraising activities, developing, implementing and publicising those considered to have most potential. Building and maintaining relationships with church funders and supporting bodies. Supporting the delivery of projects with the potential to improve giving and income generation across the Church. including the development of giving programmes and piloting new approaches to digital giving. Assisting in the roll out of the new strategy for giving and income generation, due by September 2019. Keeping up to date with relevant legislation and the development of good practice, in particular with Gift Aid regulations and helping parishes to understand and comply with them, and to take advantage of opportunities to maximise their income. Writing and presenting papers or presentations at meetings and conferences from time to time. Carrying out other such tasks to support the team’s work as may be required. Professional Qualification is desirable. This might include membership of the Institute of Fundraising or the Institute of Legacy Management. Experience of fundraising; e.g. legacy fundraising, grant funding, or in other areas such as direct marketing, or major donor fundraising. Experience of influencing through communications. Experience of working within the Church sector, ideally, but not necessarily in relation to stewardship or church finances. Effective written and oral communication, especially in presenting to large groups. Very strong self-motivator and initiator as the job requires stand-alone working. Success in the role demands good understanding of devolved nature of the Church of England, and the ability to work effectively across it. The post-holder will be expected to develop material and presentations which is consistent with Christian principles and theology, and as such, should be a member of the Church of England, or in sympathy with the mission and ethos of the Church. 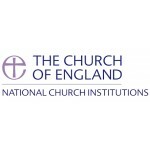 We in the National Church Institutions support the mission and ministries of the Church all over England. We work with parishes, dioceses (regional offices), schools, other ministries and our partners at a national and international level. We are committed to building a culturally diverse workforce. As part of this commitment, we welcome applications from people, regardless of their background. As a Disability Confident committed employer, it is important to note that there may be occasions where it is not practical or appropriate to interview all disabled applicants who meet the minimum criteria* due to high volume. We limit the amount of interviews conducted to five applicants per open post we advertise. *Where applicable depending on post requirements.